With access to a national historic site and a one-of-a-kind living lab that provides students with legacy opportunities to complete campus projects, this program will help you graduate with the creative, entrepreneurial, and professional skills needed to be an industry leader. The art, science and business of horticulture are the focus of this program, ensuring students learn the skills required to create landscapes, renew historical gardens, enhance communities and express their creativity while learning the complexities involved in a broad range of professional environments. 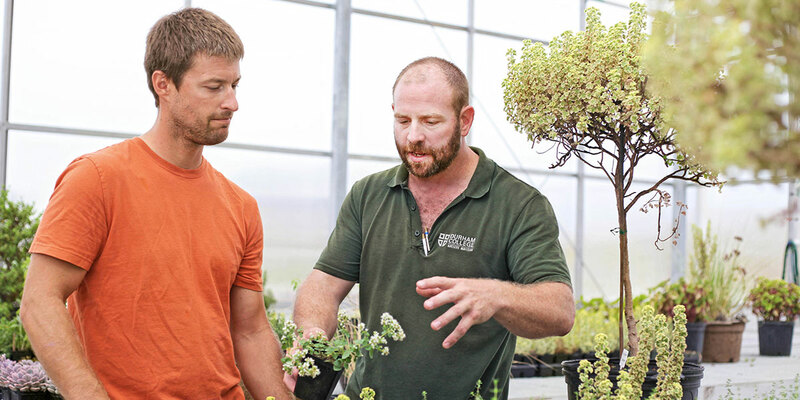 In addition, the dynamic, hands-on opportunities to experience the many aspects of the industry will make a difference as you work towards becoming a professional horticulturist. Gain knowledge and hone your skills in landscape construction, nursery management and soil and plant nutrition so you are prepared to work in creating and developing dynamic residential lots, business locations and communities. A growing interest in landscaping, gardening and urban agriculture is prompting more people to spend money on these enjoyable diversions and opening new opportunities for graduates. You will also have access to an unmatched learning environment, with more than 50 per cent of learning time focused on hands-on activities offered at the college’s W. Galen Weston Centre for Food, a unique field-to-fork-focused learning environment, and Parkwood National Historic Site, which provides access to historic gardens and greenhouses, further the understanding of different concepts and designs you will face upon graduating. Aspects of growing plants outdoors, indoors and in a greenhouse environment. Parks and turf management fundamentals. Small equipment operation and safety. Please note: Students will be required to purchase green tag safety boots in order to participate in many laboratory settings. Your learning experience will be complemented by a field placement opportunity in the horticultural industry. Students work in landscape design and construction companies, greenhouses, and property maintenance, among others. Students have the opportunity to bring all their learning together and advance their skills and learning through provincial and national competitions. These valuable events see them construct landscapes and other projects on fixed timelines and with specific guidelines and expectations.